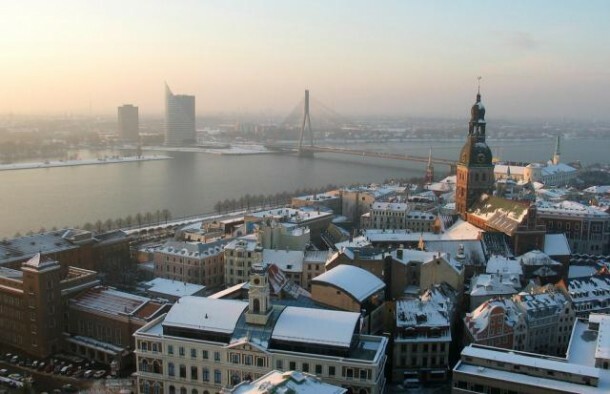 There's no chance of missing the river Daugava if you're coming to Riga. It's enormous and its oily dark waters cleave the city in two, as they run parallel with the Old Town on the East bank and towards the Gulf of Riga. The Daugava actually begins life in Russia, springing from the Valdai Hills in West Russia (where it is known as the Western Dvina) and making its way through Belarus before arriving in Latvia and draining in the Gulf of Riga. Some of its catchment area falls in Estonia and Lithuania, although 39% of the Daugava's total catchment area falls in Latvia. Out of the Daugava's 1005 kilometre length, 352 kilometres are in Latvia. The Daugava has been a major artery of Rigan life from times of old, providing water for drinking and sanitation, a mode of transportation, and more recently three hydroelectric dams - with another controversial one planned. There is a museum dedicated to the river on Dole Island, Salaspils, Rigas rajons, LV-2121. We suggest you phone ahead or email for more info. What kind of fish are in the Daugava river ?